But I can’t stop thinking about them. They were scrumptious and sweet and spicy. I loved them, my kids loved them. My husband liked them a lot (he doesn’t feel the same way about these kind of things as I do. He doesn’t say stuff like “I LOVE THESE!!! !” In fact he doesn’t speak in exclamation at all). And even though I made these on a Sunday morning, I am sharing them on a Monday- because I love to stress how easy these are to make on weekdays. They are fast and no hassle- just how I like breakfast to be early on a Monday morning. The cream of tartar in the dough and the cinnamon sugar topping gives them a distinctive snickerdoodle flavor that any snickerdoodle cookie lover or snickerdoodle muffin swooner will appreciate! 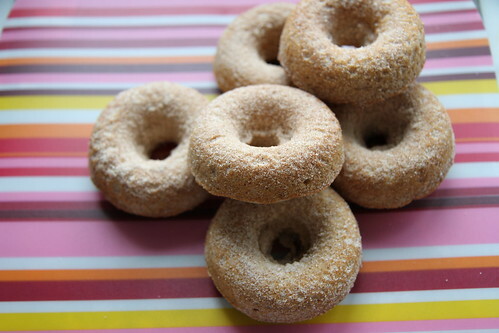 Snickerdoodle Donuts, makes 18 donuts. 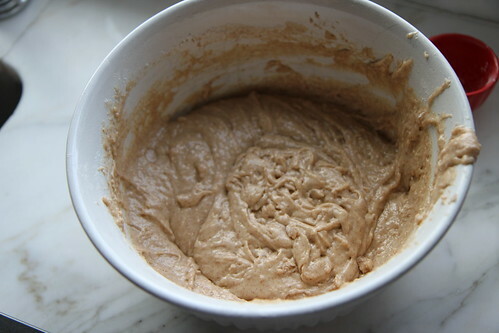 In a medium shallow bowl, combine the cinnamon and sugar and set aside. 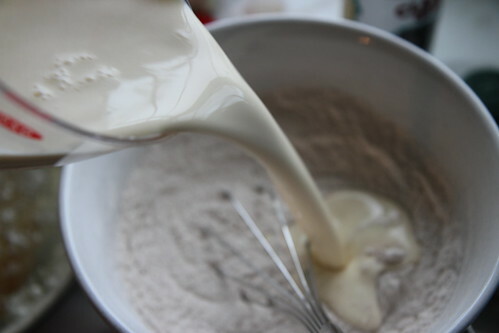 In a separate bowl, whisk together the cream, egg and vanilla until smooth. 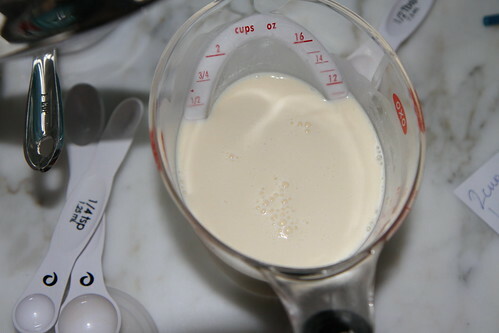 Stir together and add the melted butter to the batter. 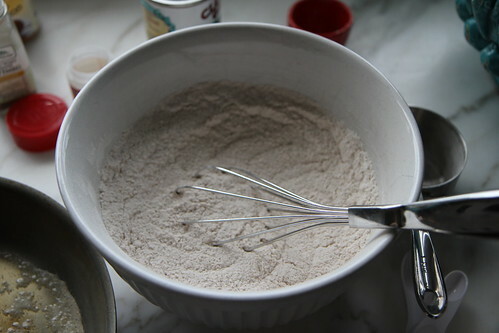 Stir the batter and mix it really well until smooth and sticky. Bake at 350 for 10-12 minutes or until golden on top. Let them cool for a few minutes before gently brushing them with a bit of melted butter and turning them out into the cinnamon sugar. 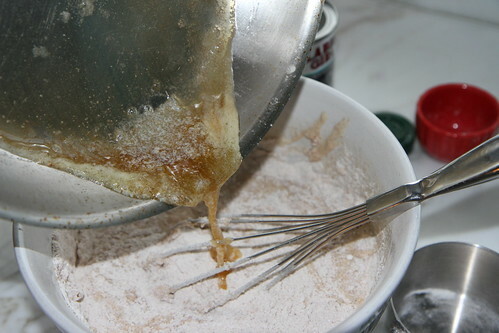 Coat them with the cinnamon sugar and enjoy! I’m such a huge fan of snickerdoodles. This is just brilliant, Heather! These look amazing! Snickerdoodles are one of my favorites. haha! I speak in exclamation when I eat something that is amazing … my hubby always laughs at me. 🙂 Your Snickerdoodle muffins are still my favorite muffin in this world! i could so use a big plate of this at this very moment. if it wasn’t Passover, this could have very well been today’s after school snack! there is always next week! These lil doughnuts are pleasant to look at. I am sure they’re just as pleasant to eat too! 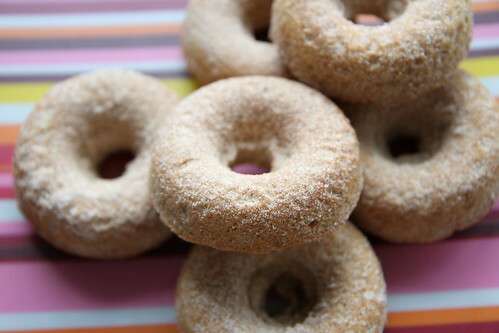 These look so tempting and just another reason I need to buy a doughnut pan! My hubs isn’t a real proclaimer of utter deliciousness either. At times I thought it was just me so I’m happy to hear it’s not! Not showing these to my family – no way, no how because if I did I’d NEVER be allowed to leave the kitchen – their two favorite things in the world combined? “Nuff” said!! 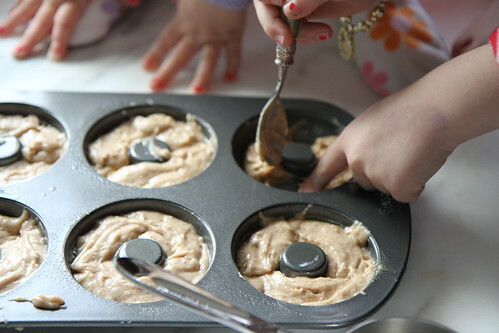 Heather – I see you have engaged the services of those with tiny hands to get the batter into the donut pan! Oh, my. 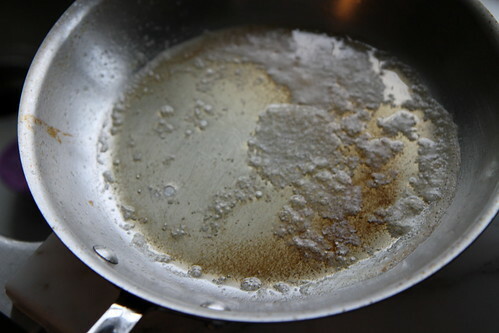 Your girls must have so much fun with you in the kitchen. Yum! These remind me of childhood! 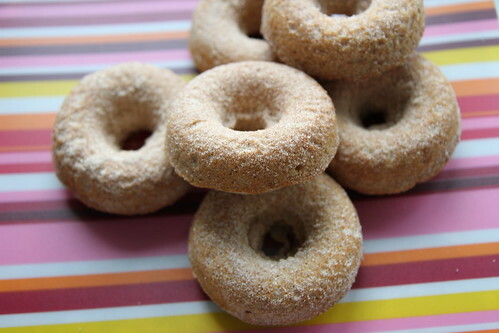 Neat idea to incorporate the flavors of Snickerdoodle into a classic! Love these doughnuts they are absolutely adorable! 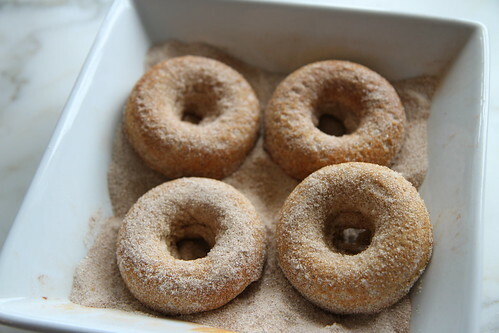 I can’t wait to get my donut pan out of storage so I can make these! My kids would do anything for these today! 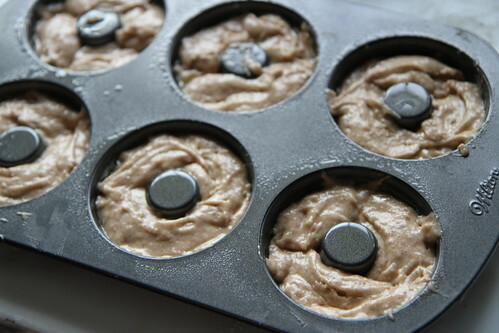 I love that these are baked and I really want to get one of those pans!